My short answer: Anyone who cares about friendship has to care about personal growth and the moments in life that can bring us together. Travel does both: it bonds us and grows us. There are few things more bonding and growing than leaving our comfort zones together. I also think it's downright magical to be going on trips together where we are intentionally learning about our sisters in other countries. There are few things in this world more beautiful than having moments of resonance with women who don't even speak the same language as we do. Everywhere we go we're doing it with eyes that look with our hearts to better understand the life and voice of women in that place. Then, the next question is usually, "But why Afghanistan?" For that, I asked Kathy, the trip ambassador who will be leading a small group of women (ideally 6 women-- we have room for 2 more!) into this country to share with us why she's so passionate. Just reading her response makes me want to go on this once-in-a-lifetime trip! By Kathy:"I have been asked many times, “Why do you want to go to Afghanistan?” always followed immediately by, “Aren’t you afraid?” The answers to both those questions are complex. I had never before been interested in going to the Middle East in my life, and I believe a part of my draw is that it is a country that has been living just under my radar for more than a decade. A country who’s name I have heard a million times. I want to experience the people and culture of this land where so many men and woman have fought and died for. I know from talking to people whom have been there that the people of Afghanistan are warm and kind and that it is a beautiful country. One soldier told me he wished he could go back as a tourist because of its beauty. Another told me he feels frustrated with how many Americans view the Afghani people because they are not just everything the news reports on. The problems in Afghanistan are complex, but they do not define the people or tell the whole story of the country! My experience in Iran last year was so amazing that it fanned the flame of my desire to experience Afghanistan. The rich history and the culture of the area is far from anything most Americans can begin to understand. And this is what makes it a fascinating place for me to want to experience. It was fun and interesting to dress as was required of us, with head coverings and in modest clothes. It was exciting learning words in a completely foreign language, one you don’t get to learn in school. I was honored to be a part of bridging the gap between two cultures who have a tenuous history, and humbled to meet people as fellow human beings with no prejudice and rather a sense of curiosity, wonder, and awe. I loved the people as much as anything else. I am expecting similar feelings and experiences in Afghanistan. 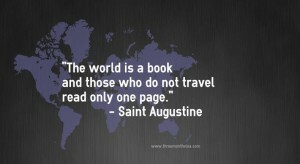 travel quote: THe world is a book and those who not travel read only one page. I listened to a webinar today by Naomi Simson who talked about “The 2% mindset” where only 2% of the population lives outside their comfort zone by acting in spite of fear, exploring new things, embracing the unknown, going for their dreams, and living without limits. I want to be part of the 2%. I don't think it's a coincidence that a woman who is willing to go outside her comfort zone in traveling is also the woman who is ready to cheer lead all of us into new friendships and adventures, even in our own cities. Kathy also happens to be the Ambassador Director for GirlFriendCircles.com, a job she does on the side of her nursing career because she knows that we also have to go outside our comfort zone to build the friendships that enrich our lives. Whether Kathy has piqued your interest in joining her in Afghanistan, or whether we've just whet your appetite for travel, in general-- we hope you know that if you're a woman who is open to some adventure and ready to do it in the circle of other women-- you're welcome on any of our trips! 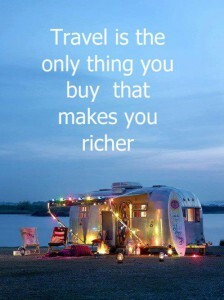 And even if you don't travel with us, I'd love to hear how travel has enriched your life! Where have you gone and how did it change you? Have you traveled with friends before? 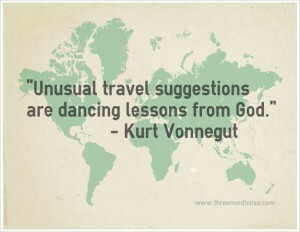 Have you traveled with strangers and felt bonded by the adventures? How have you seen your worldview grow? Tell me! Sign up here to be on the VIP TravelCircles list to be notified of new trips as they're added. Greece-- I'm leading this trip, you're welcome to join us through all the magical places of this beautiful country. Afghanistan-- you read about it above. If you have questions, let us know! Chile & Argentina-- 2 countries and lots of culture, food, and wine! Cuba-- Our 3rd and last planned trip to this country-- join us now if you're interested because it's a super special place to visit right now.